Last year was my first year to attend Rouge et Blanc, the annual food and wine fundraiser for McNeese State University’s Banners Series. Tickets for this much-anticipated event seem to sell out faster than a Justin Bieber concert. Rouge et Blanc continues to grow year after year, according to Patricia Prudhomme, Director of Banners. “We went up to 1750 tickets last year because we had the larger site [McNeese campus].” In years past, the event was held in downtown Lake Charles. The terrific turnout was evident immediately. 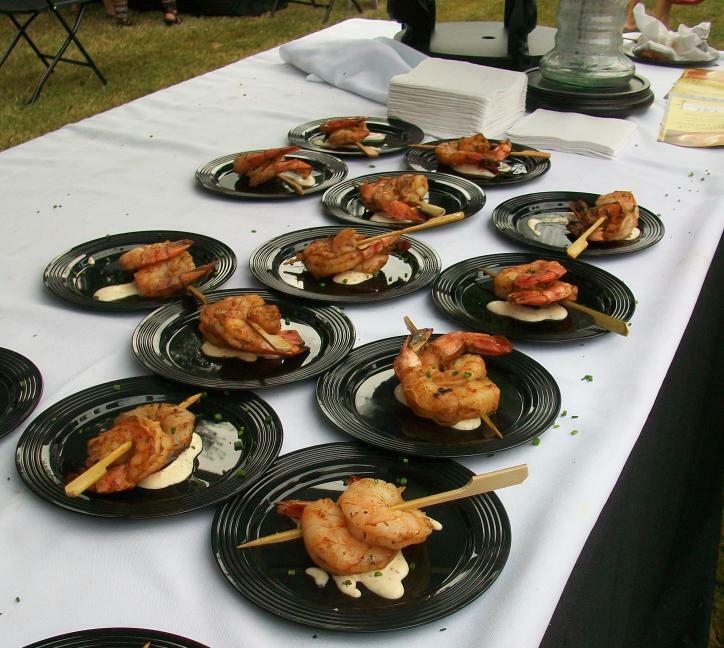 We were greeted by 29 local restaurants and caterers and 26 wineries eager to please our palates. Jeremy Davis and Clay Johnson and the Fabulous Equinox Jazz Orchestra entertained guests with their cool party sounds. Some standout food presenters included Harlequin Steaks and Seafood for their tender beef filet, Ember Grille and Wine Bar with their lamb lollipops, 121 Artisan Bistro for their goat cheese stuffed meatballs, and Izzo’s Illegal Burrito, who served pork carnita tacos. Toga Grill wowed event-goers with a delicious falafel. SweetChic Cupcakes provided dessert with their mini cupcakes in several tempting flavors such as red velvet, peanut butter fudge, and pumpkin spice latte. I had hoped to savor a little of each restaurant’s sample. Sadly, I got too full and couldn’t try them all. But of all the ones I did try, my favorite was the grilled shrimp from Otis and Henry’s at the Isle of Capri. I am not at all a wine connoisseur. So don’t judge me. But this sparkling rosé was my favorite wine. Rosatello Sparkling Rosé by Constellation Wines. It’s not wine, but I loved this Swamp Pop. 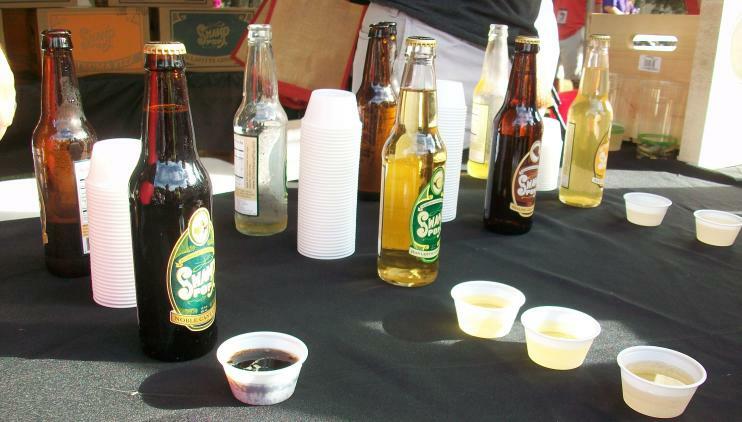 They currently offer five flavors; Noble Cane Cola, Jean LaFitte Ginger Ale, Praline Cream Soda, Satsuma Fizz, and Ponchatoula Pop Rouge (aka strawberry). It’s available locally at Crave Gourmet Baskets and Gifts. Don’t miss this fantastic event on Saturday, Oct. 17. Tickets go on sale Friday, Aug. 7. Numerous wine dinners and seminars are held during the week preceding the big event. Go to http://www.rougeetblanc.us/ for more information. 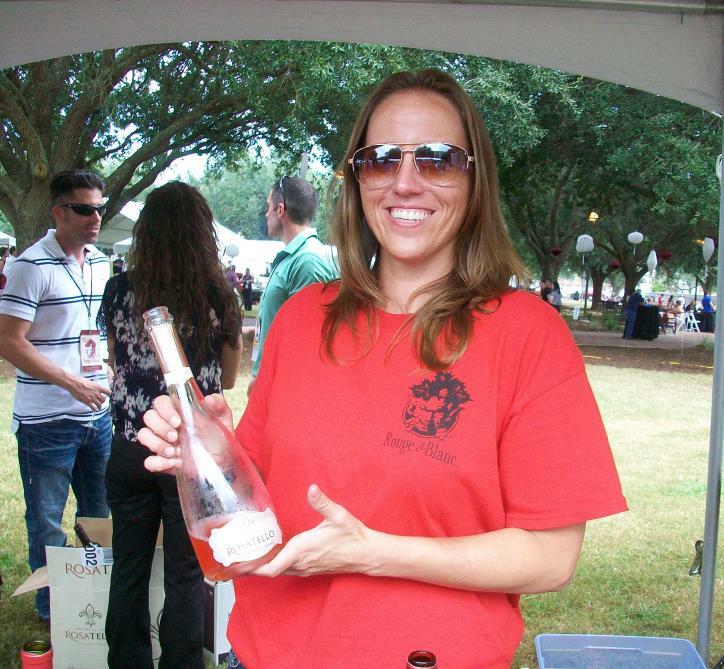 Follow Visit Lake Charles&apos;s board Rouge et Blanc: Wine & Food Festival on Pinterest.